I did send a couple of emails -- to a woman at the new version of the asylum attached to the University of Goettingen (now called "Asklepios") to ask if they had historical records, and to a man who posted something about Langers in Silesia back in 2002. The email hasn't bounced back, so is it possible that he still is using that address? I wonder what email address I was using in 2002? 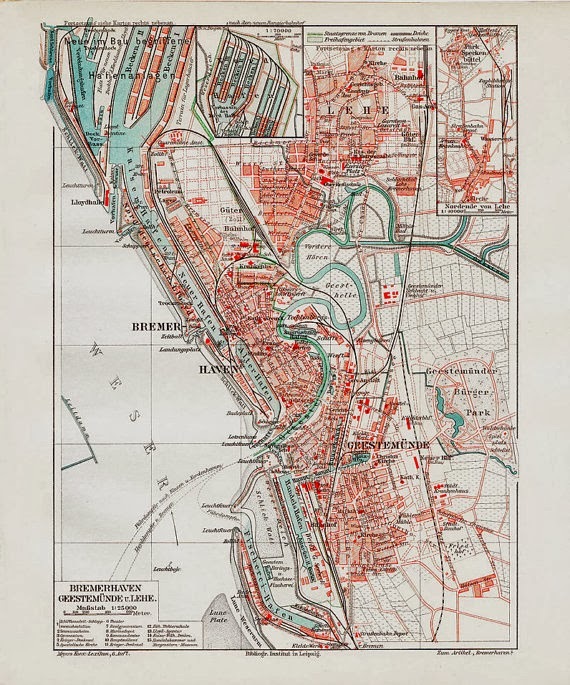 To cheer myself up, I ordered two 1908 maps from a woman in Spain, one of Bremerhaven and one of Hannover. They look really nice. I hope when I get it I'll be able to pick out the street where Grandma Walli was born and where the Langers lived.